Swedish filmmaker Jan Troell gained international recognition in the early ’70s with The Emigrants (1971) and The New Land (1972), his award-winning two-part epic about 19th Century emigration from Sweden to the United States. But just five years earlier he had made his feature debut with a more remarkable film, about which I confess I’d never heard until Criterion announced that they were releasing it on Blu-ray. 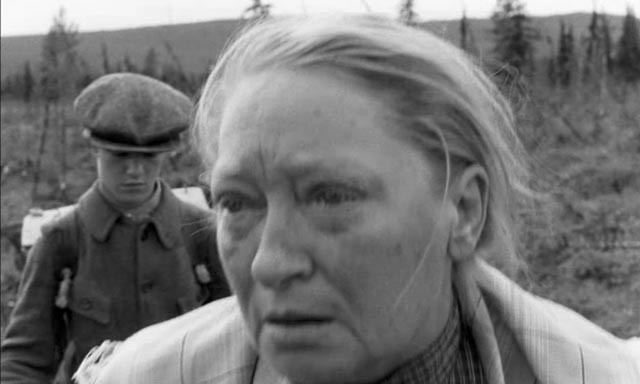 Adapted from a series of four autobiographical novels by Nobel Prize-winner Eyvind Johnson, Here Is Your Life (1966) is surely one of the greatest first features ever made, a rich, teeming depiction of life in Northern Sweden during the years of World War One as seen through the observant eyes of a working class boy (he’s just 13 as the film begins). As Mike Leigh says in his introduction to the film, this is probably the finest coming-of-age movie ever made – thanks both to Troell’s attention to detail (psychological, social and natural) and to the stunning performance of Eddie Axberg as Olof. 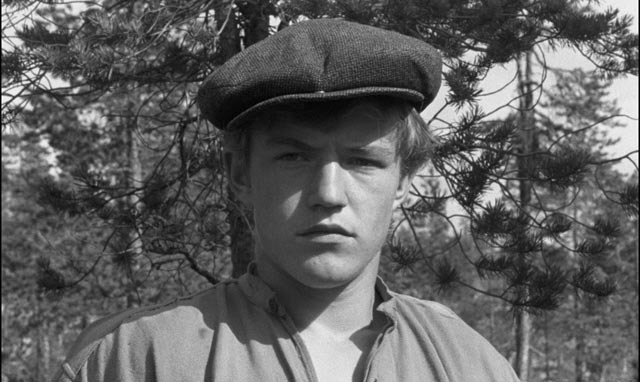 Troell, a former teacher and amateur photographer, had at the time made several short films, but his only previous feature experience was photographing Bo Widerberg’s first feature, Barnvagnen (1963). This entry into filmmaking resulted in a distinctive and unusual aspect of Troell’s work: he has photographed (and edited) all of his own features. The Swedish film industry at the time, internationally best represented by Ingmar Bergman, was changing with the advent of the Swedish Film Institute in 1963. As in other countries, particularly France with the nouvelle vague, a younger generation was pushing against the establishment (Widerberg even wrote a book severely critical of Bergman), looking for more political significance and alternative styles of storytelling. That the “industry” in the mid-’60s was open to backing an almost-three-hour epic based on a revered piece of national literature by a relatively inexperienced 35-year-old who had co-written the script and would direct, photograph and edit the film reveals a striking openness to creative experimentation. Although there were inevitably some reservations, the eventual commercial success of Here Is Your Life vindicated the decision to support Troell’s ambitious project. Seen now in retrospect, Here Is Your Life seems to echo a number of other developments occurring around the time of production. 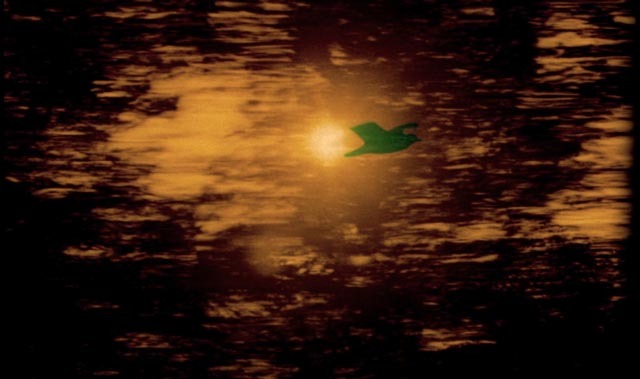 The opening section of the film, with Olof leaving his concerned stepmother at age thirteen, heading off in search of work, uses an intense, elliptical editing style to quickly evoke a psychological state which combines a sense of uncertainty with an openness to whatever possibilities life is about to present the boy. 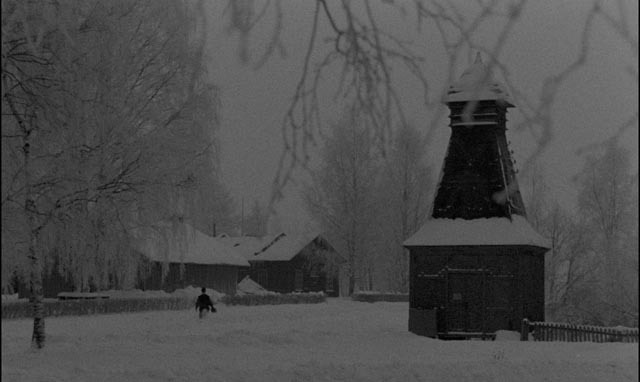 Reminiscent of the freer editing techniques of the French New Wave, this sequence in its choice of images, the framing, movement and attention to physical detail, also suggests Tarkovsky – this connection (whether actual or merely coincidental; Troell’s film was made the same year as Tarkovsky’s second feature, Andrei Rublev) becomes stronger later in the film during one of its most remarkable and distinctive sequences in which Olof’s co-worker August (Allan Edwall) tells the boy about the deaths of his young sons, the film easing from the present moment into a striking evocation of August’s memories (in delicate colour), which in turn slips into his dead wife’s own memories and feelings of loss. In its structure, tone and purely cinematic evocation of memory and emotion, this lengthy sequence bears a close resemblance to Tarkovsky’s later sustained contemplation of memory in Mirror. This sequence illustrates one of the most distinctive aspects of Here Is Your Life: that Troell approached his first feature with an aesthetic attitude drawn from his work on shorts. (In an interview on the disk he comments that some of the crew commented that he was shooting as if making shorts rather than a feature). This lengthy film consists of perfectly formed moments in which the camera dwells almost obsessively on details. While this results in an absence of what might be considered traditional narrative form, it gives the film something much richer than a linear narrative could have achieved. It has the looseness of life lived and the fluid quality of a consciousness which is rooted in the present moment while simultaneously infused with the subjective experience of all previous moments. From moment to moment, we watch Olof observing the world around him, absorbing from experience, from the people he encounters, everything which gradually transforms the boy into an autonomous, fully formed adult. Olof himself is a largely passive figure, an observer, but that just makes Eddie Axberg’s performance the more impressive: we actually see him growing up, taking shape from a childish vagueness of form and becoming a strong, independent adult. This progress is inspired by the people he encounters and the work he does as he moves from job to job. 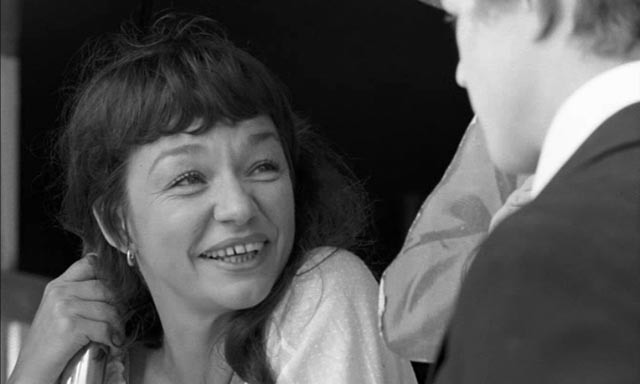 This is another of the film’s distinctive elements: it is one of the few films which takes work itself as a central subject – hard work, at that. Olof’s first job is as a logger, one of a small crew whose task it is to keep the logs moving down a fast-flowing river. Here Troell uses a lyrical documentary approach to his subject, with Axberg surrounded by both experienced actors (Edwall in particular) and real loggers. There are breathtaking images of the men out on the river, jumping from log to log, shifting blockages with metal hooks – and in one crucial moment, with dynamite. As an indication of Troell’s control of his material, we repeatedly catch glimpses of Olof seeing a tall smokestack off across the roof of the forest, getting larger and closer with each glimpse – a sign of another possibility which eventually draws the boy to his next job at a brick factory. The film uses these oblique elements to propel Olof from one stage to the next, to other hard jobs and other people. From the brickworks, he moves on to a sawmill, then on to a movie theatre run by the stiffly upright Lundgren (Gunnar Bjornstrand) where he first sells candy to the rapt audience (this is one of the loveliest evocations of “naive” movie watching, with children and adults alike weeping at the images flickering on the screen). Olof eventually becomes a projectionist and goes on tour with Olsson (Goran Lindberg), going from village to village with a projector, setting up at local fairs, becoming for a while involved with the earthy Olivia (Ulla Sjoblom). 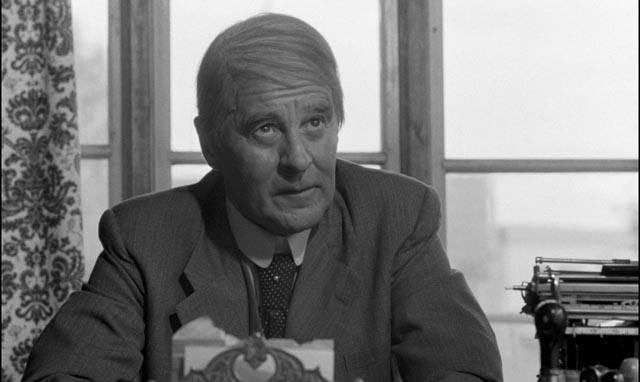 Everywhere he goes, Olof encounters fascinating characters and Troell lingers on them simply because he finds them interesting in themselves – there are no caricatures in the film, even the smallest part is given a degree of attention which reveals a deep empathy, the filmmaker’s own attitude infusing Olof’s response to the world around him. Even though he stands up to injustice and in the later part of the film becomes a socialist and agitator for workers’ rights, the film never makes monsters of the people he confronts. The respect Troell shows for people also extends to the physical world in which they live. 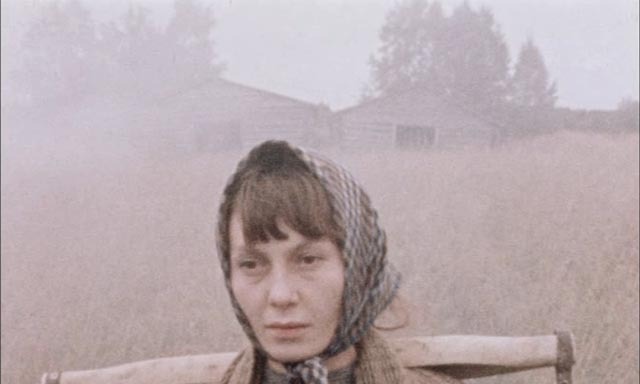 Like Tarkovsky and Terrence Malick, Troell is willing to be diverted from character and narrative to take note of passing details of the natural world. 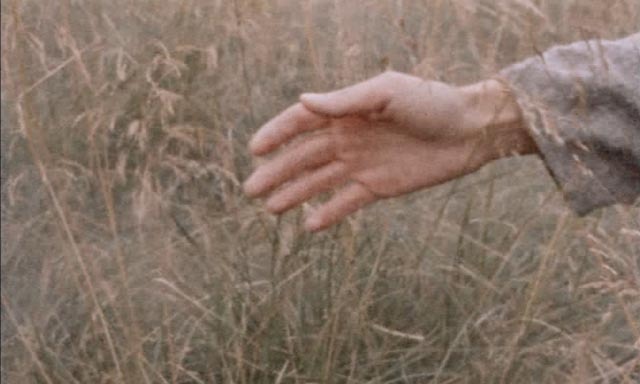 There’s a particularly striking image when Olof makes love for the first time, to the blacksmith’s daughter Maja (Catti Edfeldt), in a grassy field: Troell’s camera goes to the girl’s hand resting against Olof’s side and pauses to observe two mosquitoes on her skin, this physical detail taking on just as much importance as the emotional content of the moment. Throughout the film, Troell’s fascination with such details grounds the story and Olof’s psychological development in a world with a powerful physical presence; this life, these lives exist within and are shaped by a rich natural world. The film opens with Olof young and unformed, taking leave from his stepmother; it ends with him now an autonomous adult taking leave from her again. At the beginning, we see him in almost claustrophobic, disorienting close-ups, a child whose personality is the centre of his own world; at the end, we see him as a figure striding in long shot into a vast open landscape. In growing up, he has attained his proper scale as an individual in a much larger world, better able now to take on the opportunities and responsibilities which that world presents to him. As Mark Le Fanu says in his essay in the disk’s accompanying booklet: “the conditions of life described by Troell are harsh, but they are not in the least miserable. … Here Is Your Life is saved from tedious determinism and instead becomes a glowing hymn to freedom.” Criterion’s Blu-ray is one of their most exciting releases in a long time. Criterion’s Blu-ray presents Here Is Your Life in a gorgeously detailed 1.66:1 transfer from the original camera negative, Troell’s black-and-white images breathtakingly detailed in expressive close-ups as well as wider landscape shots. The naturalistic photography is interrupted three times by startling colour sequences – at the beginning and the end, in hand-coloured moments which suggest creative possibilities for Olof’s future; and during August’s account of his family tragedy, in fragile 16mm colour images which evoke past events shaped by intense subjective feelings. The mono soundtrack is clear, supporting both quiet natural sounds and Erik Nordgren’s subtle musical score. In his brief introduction to the film (4:41), director Mike Leigh enthusiastically endorses its rich sense of life and character, something which obviously connects with his own character-centred work. In a conversation between Troell and critic and film historian Peter Cowie (33:48), the director speaks of being an “inadvertent” filmmaker, coming to his career obliquely. Although his work was a departure from the style of Bergman, he nonetheless expresses admiration for the older filmmaker (and obviously drew extensively from Bergman’s pool of acting talent: Here Is Your Life features many familiar performers in small but telling roles). He explains that serving as his own cameraman gave him the freedom to be far more spontaneous than would have been possible with a larger crew, responding to things as they occurred and even creating new scenes on the spot when something on location suggested ideas to him. Eddie Axberg (15:47) speaks about getting the role at age 17 and what it was like working with Troell. Co-writer and producer Bengt Forslund (14:55) speaks of his start as a critic in the ’50s, of being part of a new generation under the influence of the French New Wave. He first approached Troell to direct an adaptation of a story by Eyvind Johnson in 1965 when he was invited to produce shorts for Svensk Filmindustri. That collaboration lead directly to development of Here Is Your Life and a continuing relationship that included The Emigrants and The New Land. 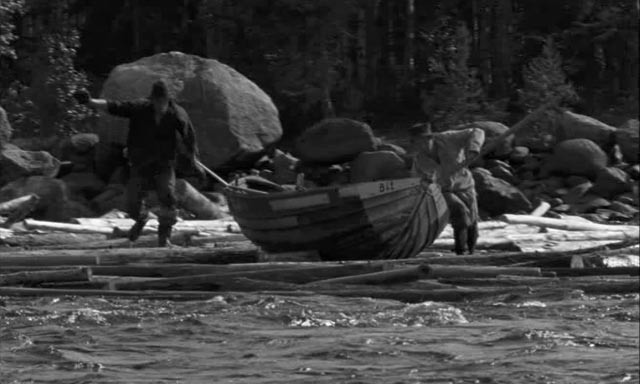 Finally, that first short drama, Interlude in the Marshland (30:10, 1965), suggests something of a trial run for the feature: shot in widescreen black-and-white and featuring both Max von Sydow and Allan Edwall, it’s also set in Northern Sweden among working people, with an elliptical narrative suggesting the constraints imposed by the necessity to work and a momentary rebellion against them. The accompanying booklet essay by film historian Mark Le Fanu provides a sketch of Troell’s relationship to Swedish film history, as well as details of the film’s relationship to the source novels and to the work of other filmmakers (particularly Tarkovsky). This entry was posted in Review and tagged Blu-Ray, Criterion, Directors, Film History, Historical Film, Literary Adaptation. Bookmark the permalink.